This remote replaces the hugely popular ATA PTX5v1. Featuring 4 grey buttons in circular design in a smoky grey see-through case. 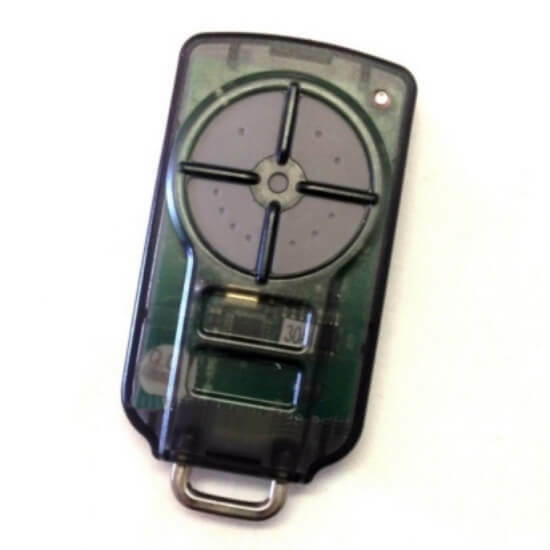 A metal key-ring connection makes attachment easy and the rounded edges gives the remote a great feel. Working on three frequencies one either side of 433.92MHz with ATAs own rolling code algorithm, this remote is great value. 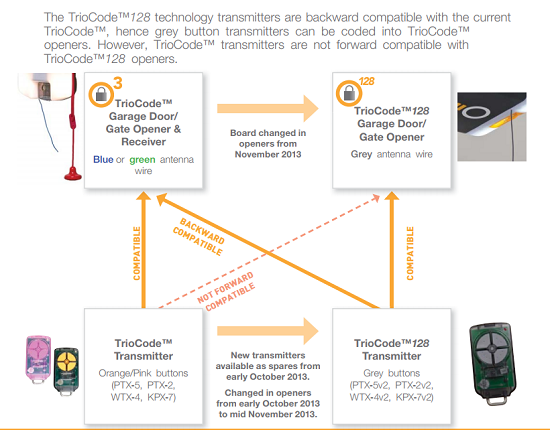 Check out the ATA TRIO CODE range. The PTX5 v2 is compatible with the following ATA Trio-Code Transmitters.